There always comes that moment at the end of a fabulous meal when you find your battle with a dirty kitchen resurfaces. Many face this dreadful encounter by procrastinating it till later that day. However, by the time the next meal, next day, or even next few days show up, the pile of dishes in the sink seems to tower the kitchen. 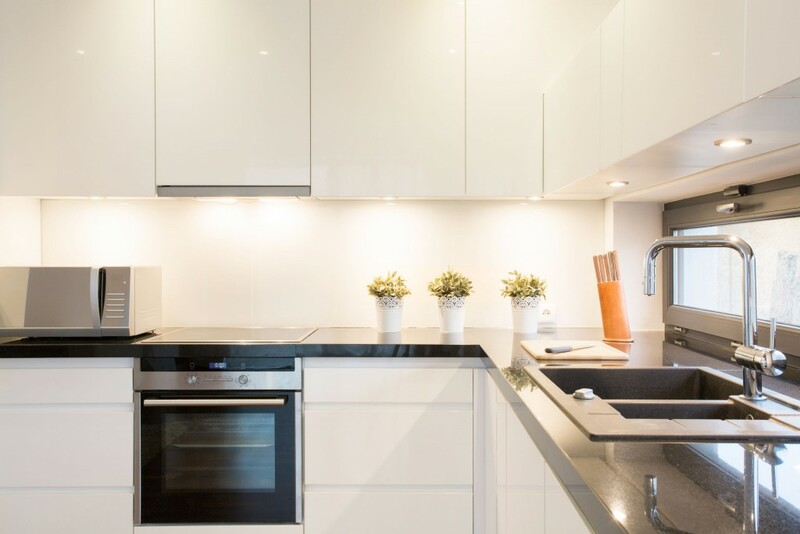 The great news is that there are many ways to keep a kitchen clean before your dirty kitchen takes over. Fortunately, there are those who have dealt with this problem so much that they have come up with various strategies to overcome it. Here are a few of the strategies that may help you overcome this challenge. Many people have found especially when cooking, that cleaning during the process of cooking a pizza, for example, can create less work in the kitchen later. It just goes to show that when you improve your cooking habits, your cleaning habits improve as well. Who knew?! What are some ways you can clean while you cook? Prepping meals with the exact amount of ingredients and measuring utensils. Once you are done with certain utensils, wash and put them away. Always keep the counters around the cooking area clean in between baking, frying, etc. Some bloggers have posted that creating a monthly system of certain jobs they do throughout each day for a certain duration of time has helped them feel more efficient in maintaining a clean kitchen. Starting with a clean kitchen can help prevent double work after baking another meal or treat. When first entering the kitchen, take time to clean it before starting another project. This will make it a lot more manageable to clean after another project, especially if you are already cleaning as you go! Periodically take time to sharpen your knives and to oil any wood cutting boards. Taking care of the tools you have to cook will improve their quality. It will also become easier to wash and take care of when cleaning in the future. Recruiting reinforcements: As the saying goes, “More hands make light work.” Sometimes the best way to quickly and easily maintain a clean kitchen is to get your kids, siblings, roommates, and family members to help. Dividing the jobs in the kitchen among them can make things much more manageable. No Comments to "Quick & Easy Ways to Keep the Kitchen Clean"